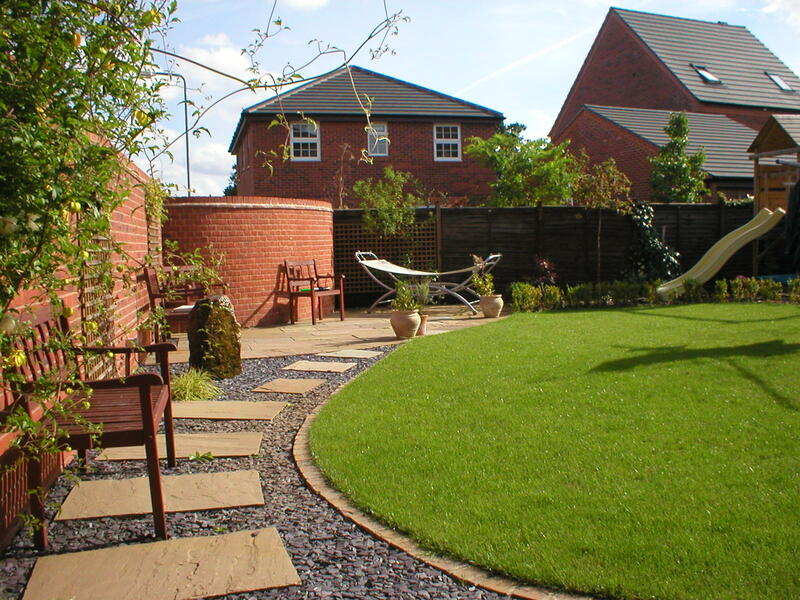 Beautiful Gardens offers expert gravel garden design and landscaping services. The benefits of a gravel garden are numerous. Primarily a gravel garden is a low maintenance choice, and can be very cost effective. But this does not mean sacrificing style. Gravel garden designs lend themselves perfectly to creating a Mediterranean oasis in your back garden. Shrubs and flower beds can cleverly border an intricate template of gravel garden paths. Or you can just choose certain places to be gravelled; maybe surrounding a patio or replacing a section of your lawn. 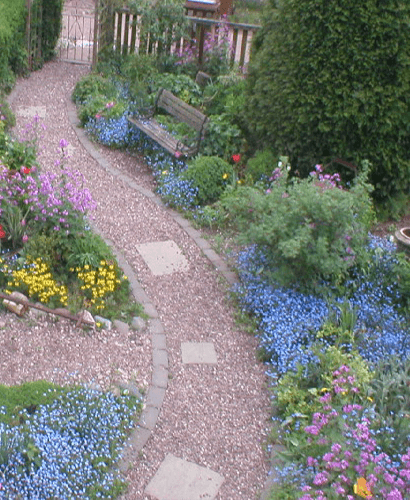 Any area is suitable for this type of garden, and it is possible to make a gravel garden on any soil type. Sandy and gravelly soil is ideal for Mediterranean plants, and a sunny, well-drained spot is also recommended. For boggy or water-logged areas gravel is a brilliant option. Gravel is often used as a lower cost solution for driveways, especially for very large entrances. Flowering plants like lavender and euphorbias thrive in gravel gardens, providing plenty of pollen and nectar for visiting bees and other insects. Add pots and trellises to a gravel backdrop to shape points of interest and variety. In fact a gravel garden is a fantastic blank canvas to work with. They can be excellent for drainage and bring lighter tones to your garden. Gravel can be bought in a wide range of colours and shades so that you can match with other paved or painted structures. Take a look through our image gallery for gravel garden design ideas. Gravel front gardens are increasingly popular, giving a low maintenance space and a tidy appearance. If you would like advice on how well your gravel garden design ideas would work in your garden, please get in touch on 01543 444 470. The key to all gravel gardens is good ground preparation. We use ‘Plantex’ weed-guard membrane beneath all gravels. This ensures maximum protection against weed growth. Soil is carefully levelled and we take drainage issues into consideration. We can advise on suitable depth of spread and selecting the right gravel mix for your needs. Gravel size varies from fine to chunky, and can be rounded or angular in shape. Once the initial phase of your gravel garden is completed, we are then ready to plant areas and add features in your chosen style. Call us today on 01543 444 470 to arrange a free on-site visit and quote.